It’s a big fluffy plush crochet hook! Because, why not?! I thought this would be a fun decor piece for my yarn room. And what better way to represent my love of crochet than with a crocheted crochet hook LOL! I am using the thick and soft Bernat Blanket Yarn in color lilac. 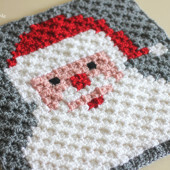 This is actually from the baby line of Bernat Blanket Yarn but you could easily use ANY colors from their entire line! I did need two of the smaller skeins but this could easily be made with one of the bigger skeins. – 2 small skeins of Bernat Baby Blanket Yarn in color Lilac. SHOP HERE. Note: Be sure to stuff with polyfil as you go! Fasten off, weave in ends. Do not close top of hook handle but piece should be stuffed. Round 2: in back loops only, SC in each stitch around leaving last two stitch unworked. At this point you will want to join with a SC to the rim of the hook handle and start to SC, make about 16 stitches until you are back towards the front of the tip (your inline piece), make 4 SC Decreases, SC in last 3 stitches and you should be back at the beginning with your two pieces connected. Keep crocheting in rounds without joining, exact stitch count doesn’t matter. Round 3: SC in first 3, make 3 SC Decreases along the back neck of the crochet hook, SC in remaining stitches around. Round 6: SC decrease until closed. There will probably be a small space between the inline of the hook and the hook neck. Use your loose ends to stitch the little space up. 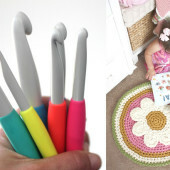 Can’t wait to see your Plush Crochet Hooks! Be sure to tag me on social media using #RepeatCrafterMe so I can see your projects! 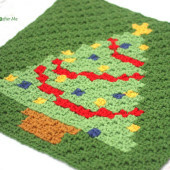 Keep in touch on my Repeat Crafter Me Facebook Page and my Repeat Crafter Me Instagram Page for new pattern sneak peeks and when they will be available on my blog! And feel free to post pictures of your finished hats and/or links to your shops on my Facebook wall so all can see. OMG, I’m definitely making a few of these. Already thinking lumbar pillow, one each for home, car, and office, a bolster, and of course a giant kitty toy. 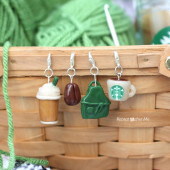 Cute quick gift for a crafty friend too. That’s definitely the coolest thing I’ve seen in awhile! I was looking for something different to crochet and that was the perfect. Amazing woolen craft work, I really impressed of it. Just visit our website and learn to stop code kmode exception not handled in simple steps by getting help from our tutorial.